Please note: the content on this page is considered archived. For a more recent version of the content of this page, please visit the Countries section of our website. What part does prevention play in Portugal drug strategy. What are the main prevention approaches used in the country and who do they target? In Portugal, use of illicit substances among the adult general population seems to have been on the decline over the past decade. Cannabis remains the most frequently used illicit drug, followed by MDMA/ecstasy and cocaine. Use of illicit substances is more common among young adults (aged 15- 34 years). However, last-year use of drugs other than cannabis remains low even in this age group. In general, males are more likely to report drug use than females. In 2012, approximately 0.4 % of all respondents and 0.9 % of young adults reported having used a NPS at least once in their lifetime. Lisbon, Almada and Oporto participate in the Europe-wide annual wastewater campaigns undertaken by the Sewage Analysis Core Group Europe (SCORE). This study provides data on illicit drug use at a community level, based on the levels of different illicit drugs and their metabolites in wastewater. 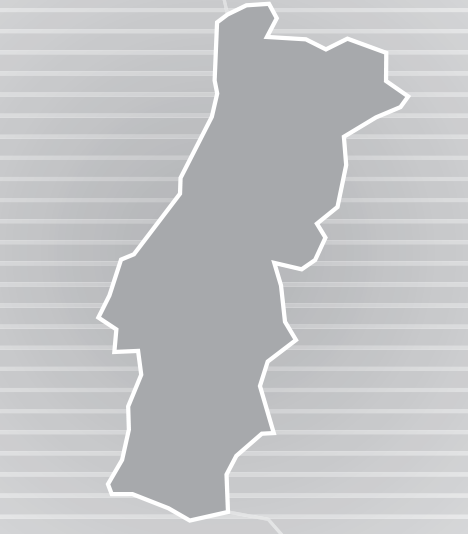 The results indicate an increase in cocaine and MDMA use in Lisbon between 2013 and 2016, and the use of these substances seems to be more common in Lisbon than in Porto and Almada (in 2015 and 2016). Moreover, in all locations the presence of these substances was higher at weekends than on weekdays. In 2016, amphetamine and methamphetamine levels detected in the three cities were low, indicating very limited use of these substances in these cities. NBEstimated last-year prevalence of drug use in 2012. The most recent data on drug use among students were reported in the 2015 European School Survey Project on Alcohol and Other Drug (ESPAD). Lifetime use of cannabis and other illicit drugs among Portuguese students was slightly lower than the European average (based on data from 35 countries), with lifetime use of NPS much lower than the average. Similarly, use of cigarettes in the last 30 days was just below the European average and alcohol use and binge drinking in the last 30 days were much lower than the average. Lifetime use of cannabis showed an increase in the 2003 survey, but it has remained relatively stable since, as indicated in the subsequent three surveys. Studies reporting estimates of high-risk use can help to identify the extent of the more entrenched drug use problems, while data on the first-time entrants to specialised drug treatment centres, when considered alongside other indicators, can inform understanding on the nature and trends in high-risk drug use. The latest studies in Portugal indicate that, in 2012, the prevalence of high-risk cocaine use was 6.2 per 1 000 and the estimated prevalence of high-risk opioid use was 4.9 per 1 000. The Severity of Dependence Scales included in the 2012 survey suggested that about 0.7 % of 15- to 64-year-olds could be considered high-risk cannabis users. NBYear of data 2015, or latest available year..
NBYear of data 2015. Data is for first-time entrants, except for gender which is for all treatment entrants.